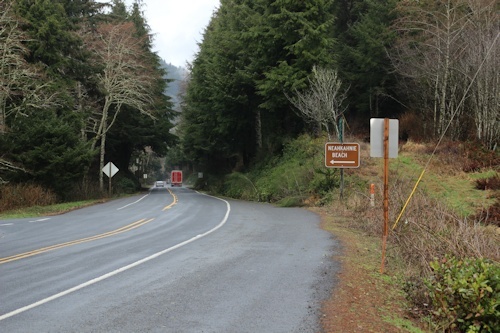 Hwy 101 mile marker 43. This is a long beach which connects to Nehalam Beach to the south (passing by the town of Manzanita). The tall cliffs of Mt. Neahkahnie rise up on the north side. 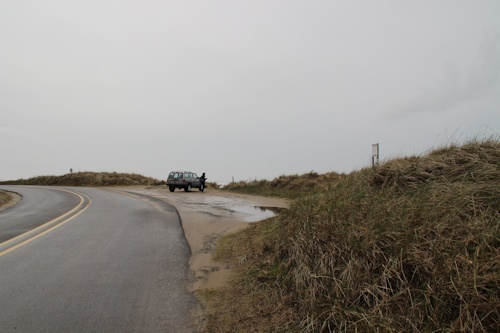 Taking the exit from 101 marked "Neahkahnie Beach" will lead to a tiny public parking area in the sand right off a residential road. This is a view looking south. Nehalem Bay State Park beach is in the distance. 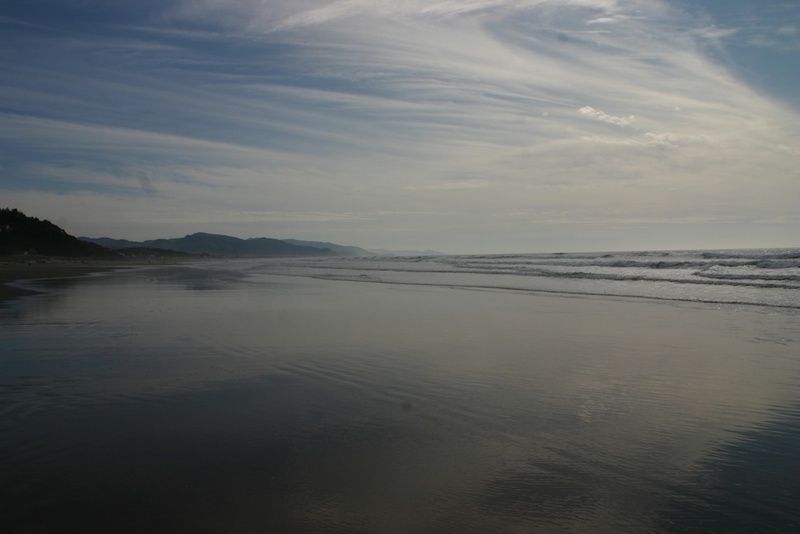 The area between these two beaches is sometimes called Manzanita Beach.